This is a board for PR office that I am working on right now. SO excited about it. What's even better is she deals with fashion. Accessories to be specific. So, it totally gives me license to be girlie...which you knooooow I'm all about. There are still several elements that are not included here...but, I just wanted to give a general feel for the space. 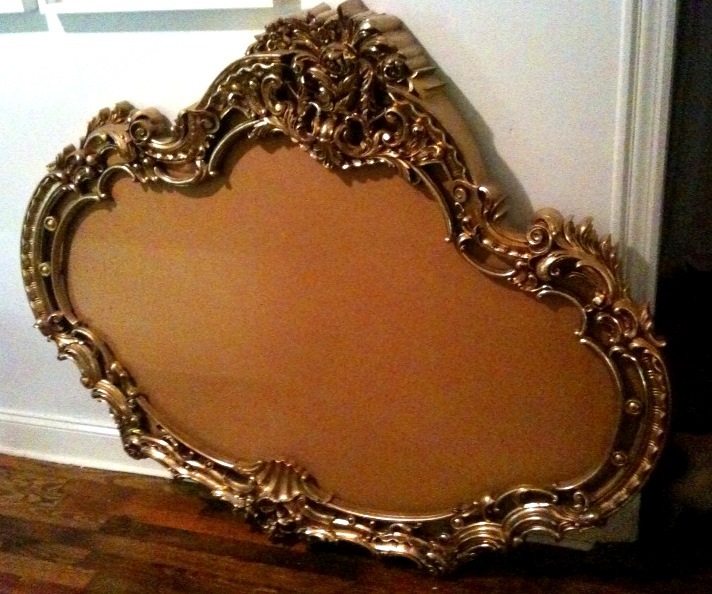 BIG plans for this fabulous and massive gold frame. Wait and see! 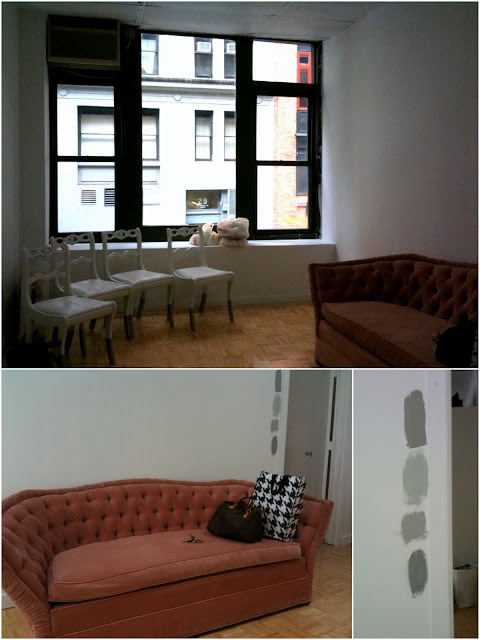 Below is the actual space, just after the sofa was delivered. I love seeing the pieces come together. Here are some paint options. I will be painting the walls and the ceiling. So, there it is in a nutshell. Still a couple of pieces of furniture to be found. And, of course, the finishing details. Bit, by bit it will get done. And, I am feeling really good about where this project is headed. wow wow wow. So romantic and beautiful! Love it! Looks like it will be awesome space. I designed a Glamour Girl "personality" on the LiveLikeYou site and love when you can make a space girlie. That houndstooth gift bag doesnt look to bad there. Oh girl - this is SO in your wheelhouse. It is gonna be H-O-T when you finish it! So, so pretty. 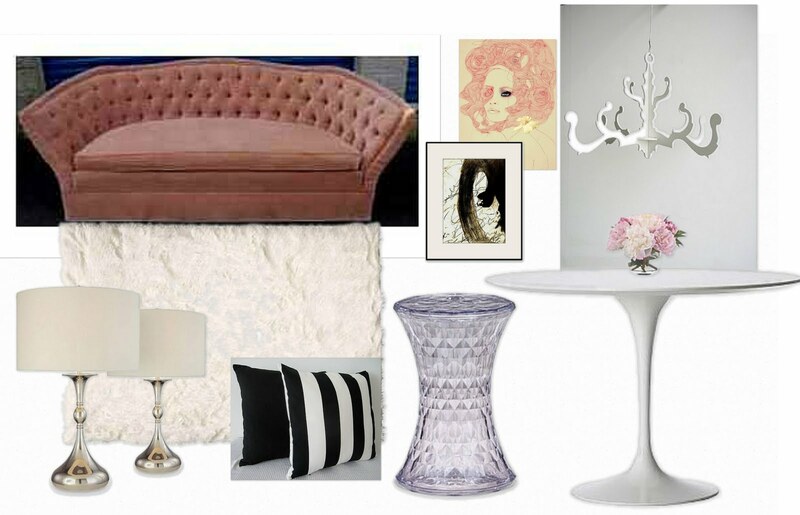 Loving that velvet sofa and the faceted acrylic side table! So excited to see the outcome!! The mood board if fabulous! So, are you recovering the sofa or leaving it in it's romantic state? Don't remember..
Can't wait to see the office when done!